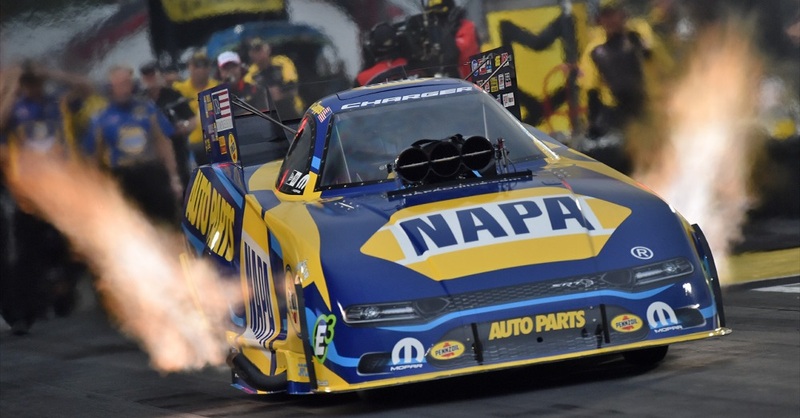 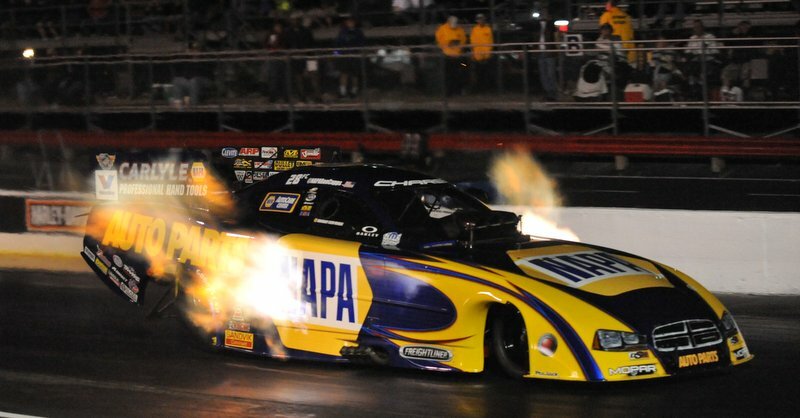 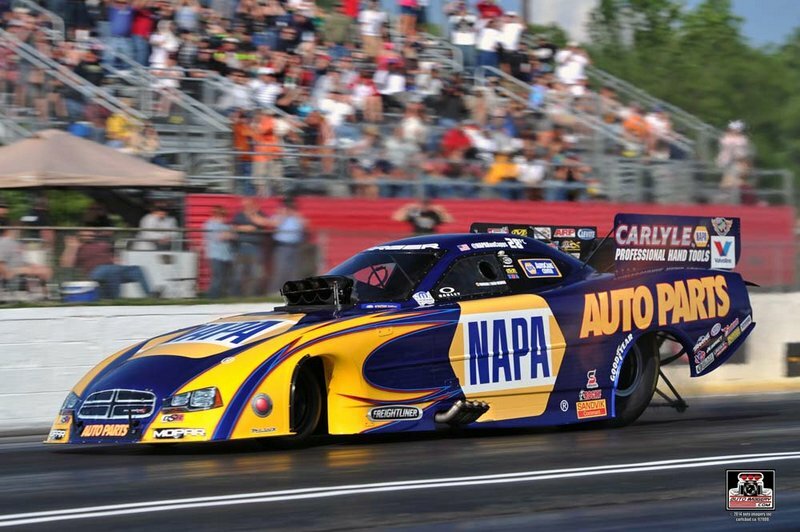 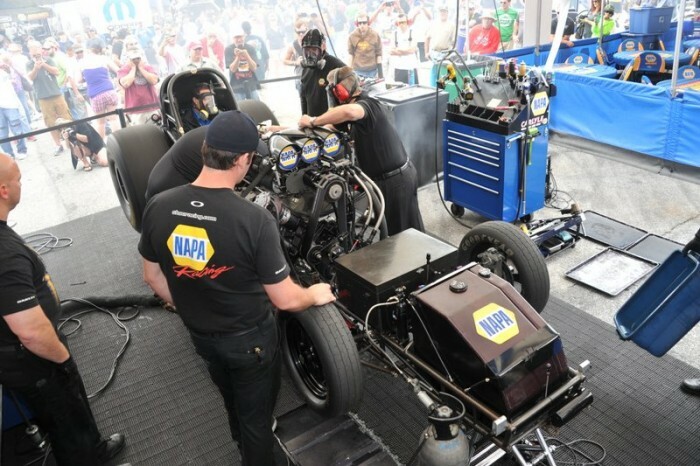 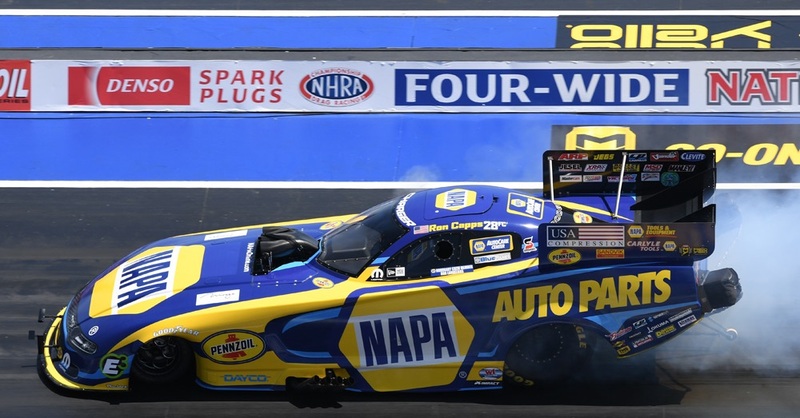 COMMERCE, Ga (May 19, 2014) – A rainy weekend for NHRA races at Atlanta Dragway couldn’t wash away the optimism of Ron Capps and the confidence he has in his NAPA AUTO PARTS Dodge Charger R/T. 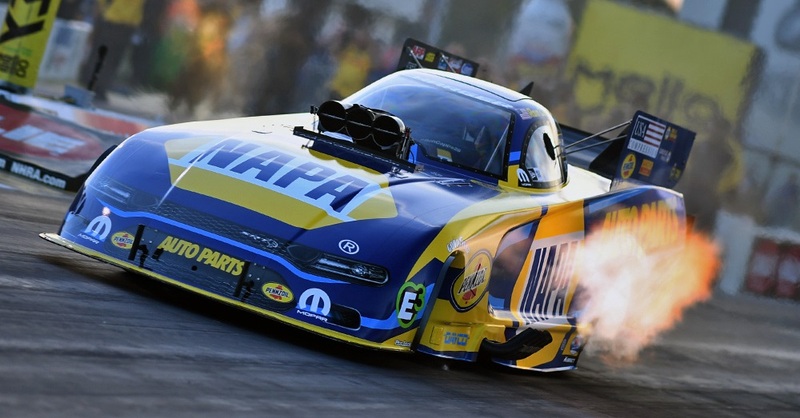 Ron advanced to his fourth semifinal rounds of the NHRA Mello Yello Drag Racing series season and was able to move up one spot to fourth in the series standings, but is still seeking his first championship round after seven of 24 events on the circuit. “Weekends like this you instantly have to find the silver lining and no pun intended with the rainy weekend but the silver lining is that Tobler came in here with a different outlook on his tune up, going back a couple of years and stealing something from the way he ran the car a couple years ago and implementing it into the way he runs the car today,” Ron said. “We are making way more power now, Don Schumacher Racing cylinder heads and everything and the new superchargers are really working well. 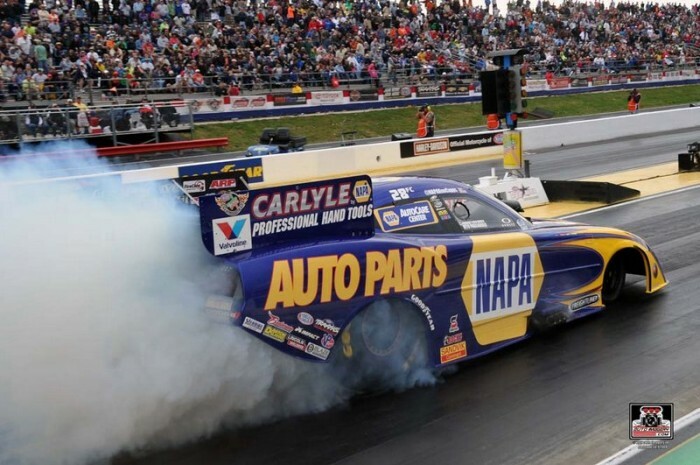 Everything is working great. 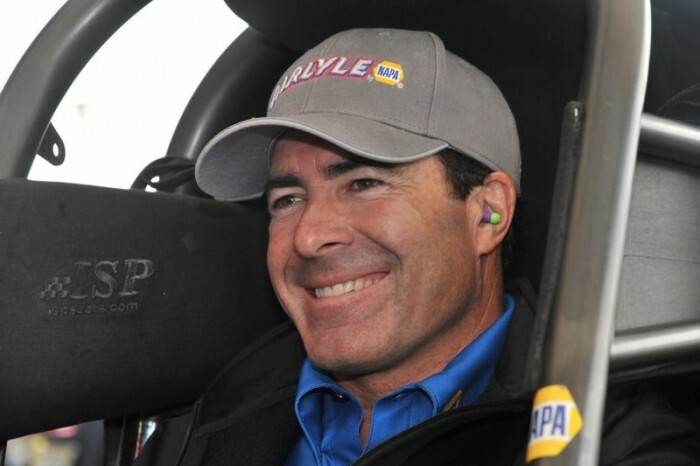 Really this is one of those races where you have to gut it out. 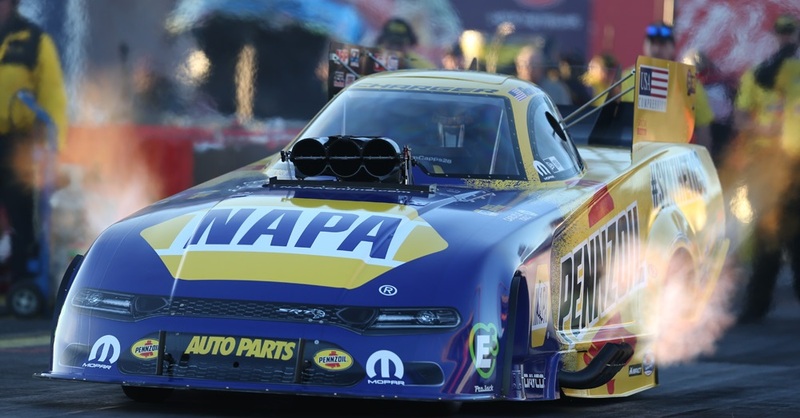 The Mello Yello Series heads west for next weekend’s NHRA races at Heartland Park Topeka.